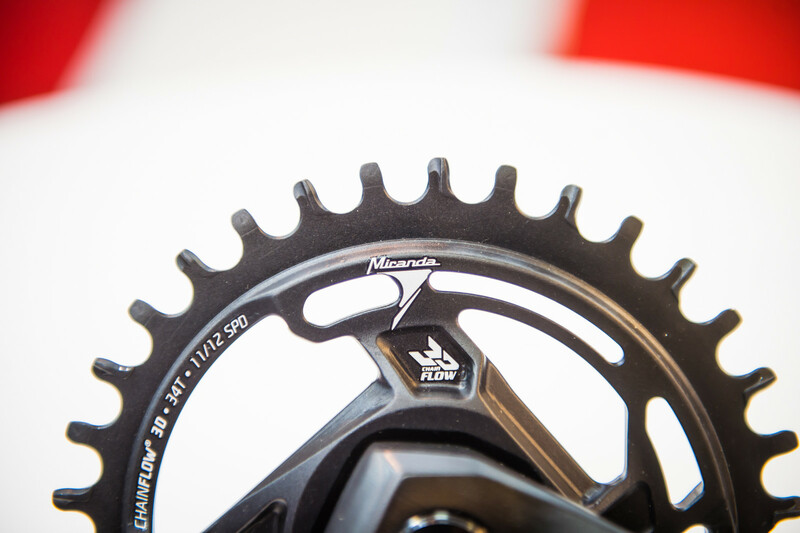 Miranda continues the refinement of their XMOD Cranks and Chainflow Chainrings. We showed you this sadistic bike-shaking device from Miranda Bike Parts at Eurobike in 2017. Lots of you commented on how it may have missed the mark in terms of real-world movements. Well, they're back this year with an updated version of their torture device to show off their XMOD modular crank system with Chainflow chainrings. This new version uses a full suspension rear end and twists and pivots to simulate the bike in action. Shifting during the earthquake-like simulation is still possible, too. While many of you have commented about the pedals constantly in motion, there videos of the simulation running with the cranks stationary and the chain clings to the rings just fine. Miranda out of Portugal is continuing to evolve its XMOD crank system, which was successfully raced to the Masters EWS title by Karim Amour. 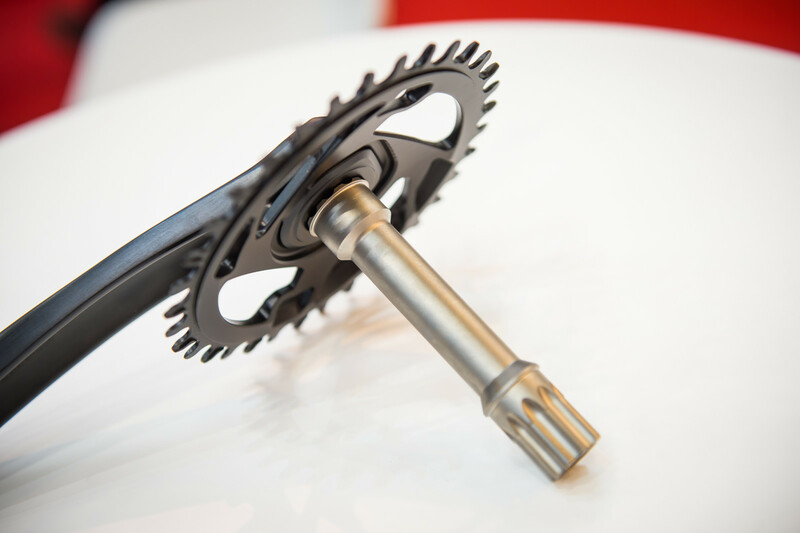 The XMOD crank is a modular system which allows you to dismantle the crank arms from either side. The spindle is easily replaceable, covers both BOOST and SuperBOOST standards in addition to the classic standards. The chainring slides on to the driveside under the crank arm. It's held in place by the crank arm using a splined, self-extracting system to grab the spindle. 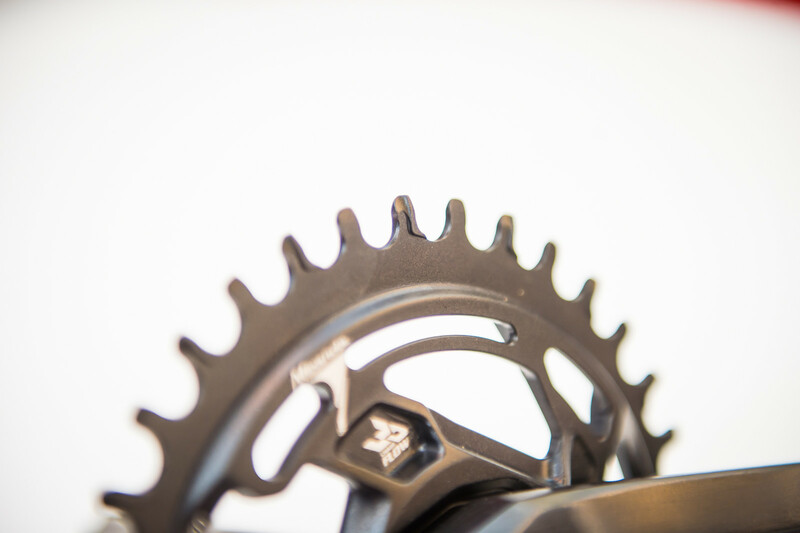 The 3D Chainflow chainring features an intricately machined set of teeth designed to provide chain retention across three different axes as shown in the video above. The teeth are also taller than average which helps them engage the chain sooner, helping distribute the load more evenly. The aluminum version of the crank is an impressive 560g excluding bottom bracket. The low weight is achieved by the titanium spindle which is included. 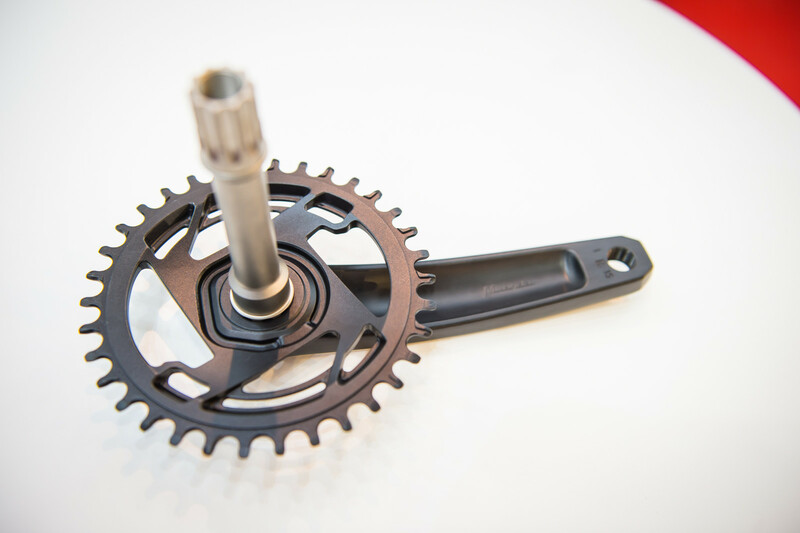 They're working on a carbon version of the crank now which should hit the 400-430g range. OE partners are taking delivery as we speak and expect them available for after-market purchase toward September. There is no word on pricing yet.